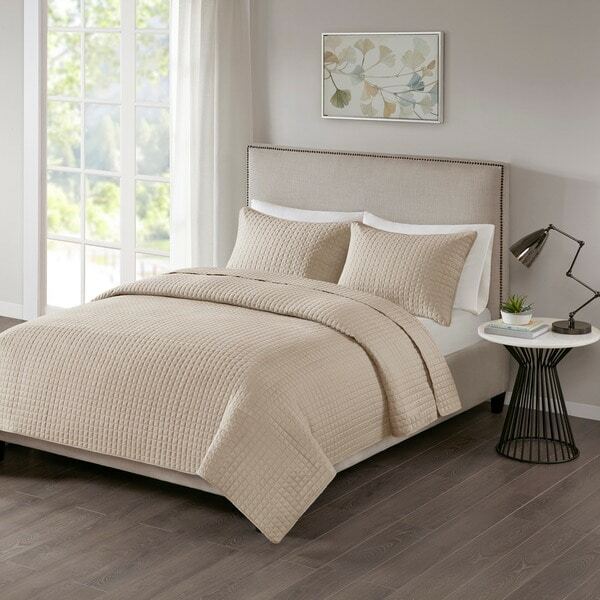 Introduce simple and casual comfort to your bedroom with the 510 Design Nash 3 Piece Coverlet Set. The quilted coverlet and shams feature a square checkered pattern in a rich khaki hue that complements and adds texture to any decor style. Machine washable for easy care, this quilted coverlet set is made from ultra-soft microfiber to provide exceptional comfort and style for your bed.